I've gotten such cool recommendations from you about other runners through history to feature! It is exciting to learn about how runners from all across the globe toiled on their feet to transmit messages, mail and sometimes, intelligence and counter-intelligence. 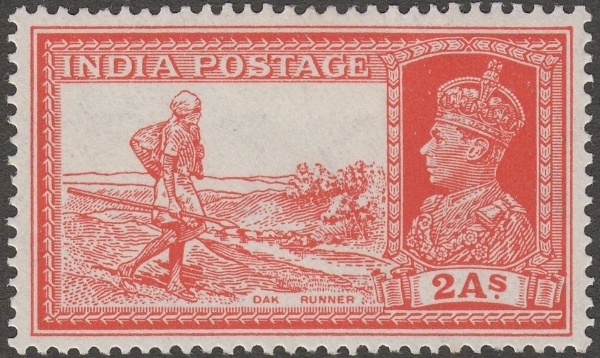 Today's story takes us to India, where the dak (mail) runners , known as dak dauriya, or harakaara, carried loads of mail and messages across a huge, rugged empire. I have not yet traveled to India, but everything I've read points to it being exactly the kind of place that would be challenging to traverse on foot. Take the world's highest mountains and plateaus, throw in some dense jungles, broad rushing rivers, and forbidding deserts. 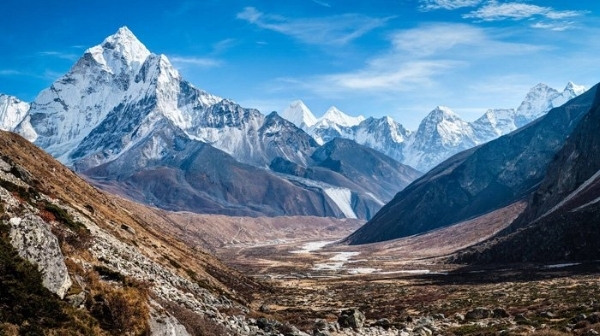 Then, add in a diverse array of weather as varied as the terrain, ranging from hot, dry summers to dripping monsoons; arid desert sandstorms to frigid katabatic winds; icy blizzards to unbearable heat waves. And intermittently, throw in a cyclone or two, floods, landslides, and droughts. And that's just the land; we haven't even mentioned its wildlife, which includes vast herds of buffalo, venomous snakes, stealthy crocodiles, and -- legendarily -- "man-eating" tigers. Then go back in time about 200 years, to a time when few developed roads traversed India, and those that did exist were frequently flooded out. Ready to run out and deliver some mail? Like Japan's hikyaku, the dak dauriya came into being out of administrative necessity, as a way to communicate more quickly across varied, rugged terrain. As far back as the 13th century, historian Ziauddin Barani was sharing tales of daring messengers on foot or horseback... the human runners bearing the vast majority of the assignments, given how much of the terrain was impassable on a horse. Dak dauriyas' adventures were told and retold, and they became known for their extraordinary physical strength and the dangers they negotiated along the way, climbing mountain passes, traversing deserts, and braving encounters with tigers. Their commitment to carry the mail through rain and flood made them heroes. The waterproof, breathable fabrics that make it comfortable today to run in just about any kind of weather, did not exist then, nor did today's durable, protective running shoes. As runners covered around 20 miles per day, they had little protection from the elements or from marauding people or wildlife; a spear in his hand was all a runner had to defend himself. The Dak dauriyas' work was grueling, and their lives sometimes cut short; an 1831 news piece reported that a runner carrying mail from Calcutta was grabbed by a tiger, who quickly disappeared into the long grass. I'm aware that Rudyard Kipling, an Englishman born into colonial India, was a man of his age, with views that we today understand to be anglocentric and imperialist. That said, his tribute to the Dak dauria is so moving that I found it a good way to close today's post. Enjoy! “Per runner, two bags of the Overland Mail." Does the tempest cry halt? What are tempests to him? The world is awake and the clouds are aglow. Wishing you joyful running, from rice-field to rock-ridge and rock-ridge to spur... I'll see you on the trail!